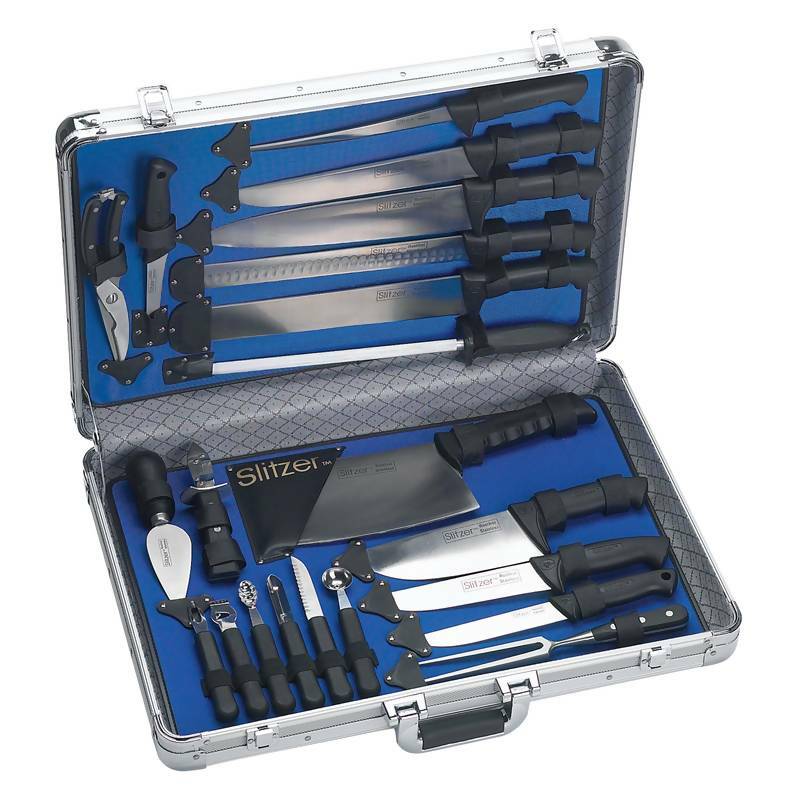 Slitzer� 21pc Cutlery Set in Case. Each ergonomic, well balanced knife features full tang construction and blades are finished with satin polish that resists corrosion and pitting. 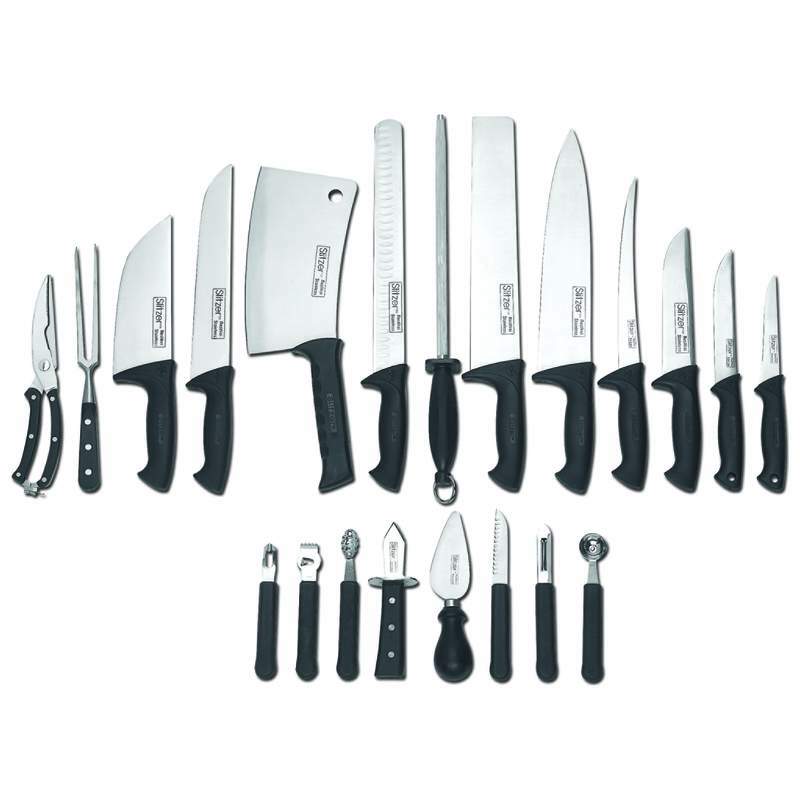 Set includes 9" cleaver, 12" sharpener, 12" fish filet knife, 12" long knife, 12" chef knife, 10" utility knife, 9" fish filet knife, 8" utility knife, 8" chef knife, 6" boning knife, 6" utility knife, cheese knife, oyster knife, scissor, big fork, 6pc small gadget set (multi-use knife, decorative knife, lemon grater, 2 scoops, potato peeler). All in their special 23" x 15-1/2" x 4-3/4" aluminum case that can also double as a hard sided briefcase.